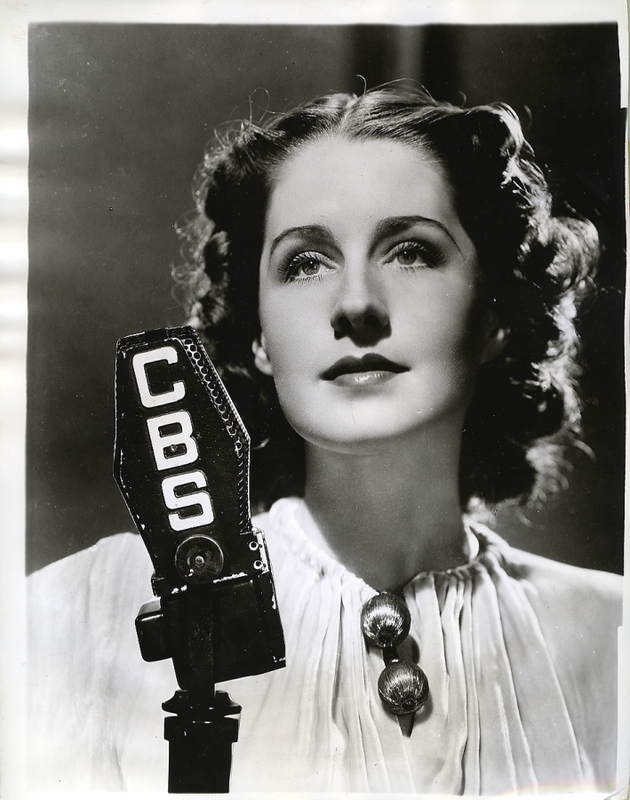 Norma Shearer helps "Radio Waves Over Hollywood" say goodbye. Doesn't she look sad? You may have noticed a few Thursdays have come and gone with no exciting updates about the “Radio Waves Over Hollywood” show. Unfortunately, the show has ended and sadly it wasn’t given the chance to have a season finale. Two weeks ago, one of the computers in the radio station that runs the radio program we use got a virus. After a week, it still wasn’t fixed and all radio shows had been canceled. I was able to record a couple of the shows, so I will be putting those videos up in the near future. Sadly, I won’t be returning with my show in the fall because I am graduating on May 7. I loved my show and enjoyed doing it. I want to thank all of you who listened in each week for my ramblings about classic film. It was an exciting and relaxing run. I enjoyed every single show that I got the chance to listen. Hearing your voice on the internet radio stream was so exciting the first time you had your show, I’ll always remember that. Radio waves was always filled wonderful discussions and great music, it’s a shame the show had to end the way it did. Even still, while it lasted it was a treat. Be proud of yourself. Thanks 🙂 It was a fun run and a good experience. Now I have more journalism experience under my belt. Hopefully I can do something like it again sometime. Aww, bummer. I kept hoping the show would be available as a podcast. 😦 It sounded like such a great show. I know me too 😦 I was going to try to record several this year, but was only able to do 2. The radio station kept promising podcast capablity but it never worked out. I’ve considered doing a podcast, but it wouldnt’ be quite the same. I have listened to all of your radio shows this school year and enjoyed them so much. I really have missed hearing your voice these last few weeks. Maybe some day you can have a show like that again. I am proud of everything you do! Thanks mommy. I’ll miss doing it. I think you and dad may have been the only listeners haha but that’s ok.